Easy tasty tofu burger! 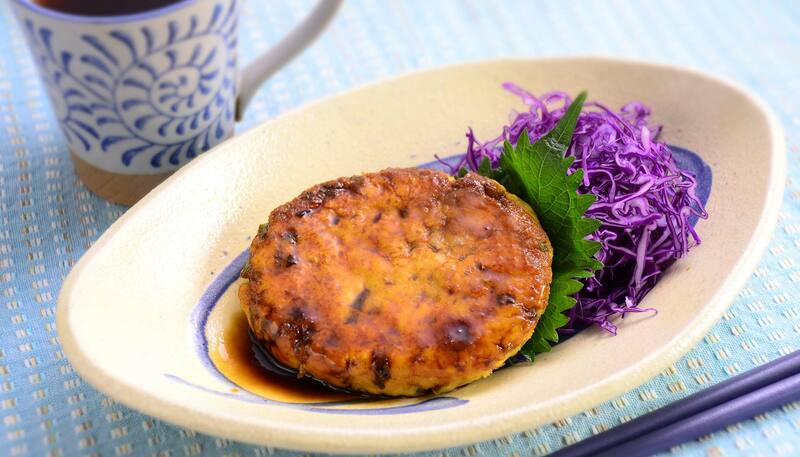 This Japanese style tofu hamburger has a hint of sesame oil in every bite. 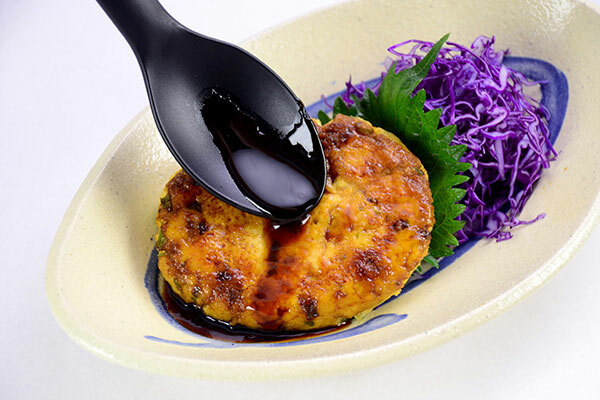 A perfect side dish for lunch! 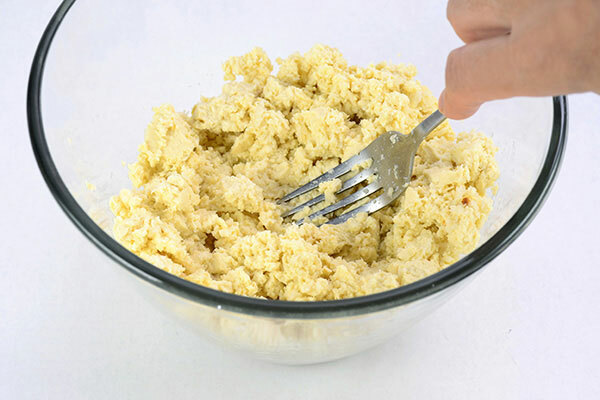 In a large bowl, place tofu and panko, then mash and mix with fork. 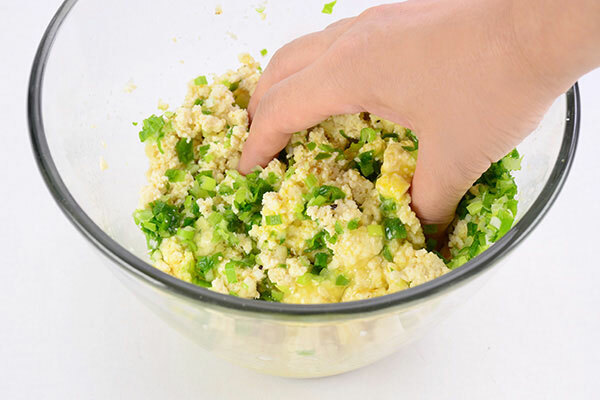 Add egg, green onion, salt, pepper, sesame oil to the bowl and mix well with a clean hand. 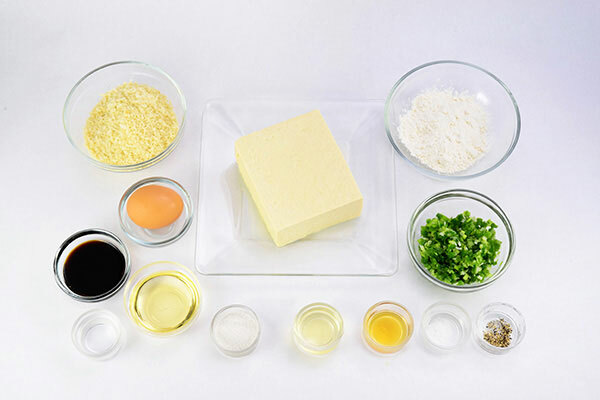 Divide mixture into four 3/4-inch thick oval patties. Lightly dust with flour and set aside. 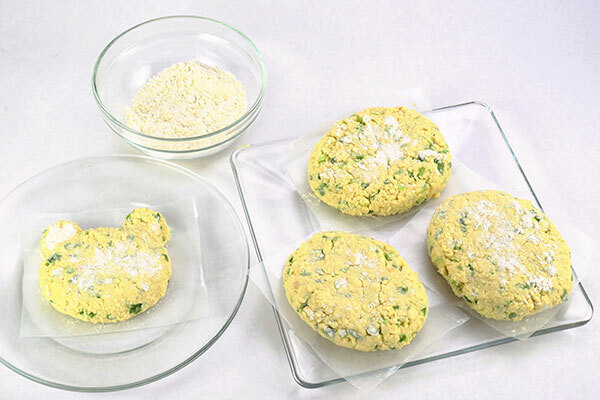 Instead of shaping the patties into ovals, get creative and make fun shapes like bears and hearts! 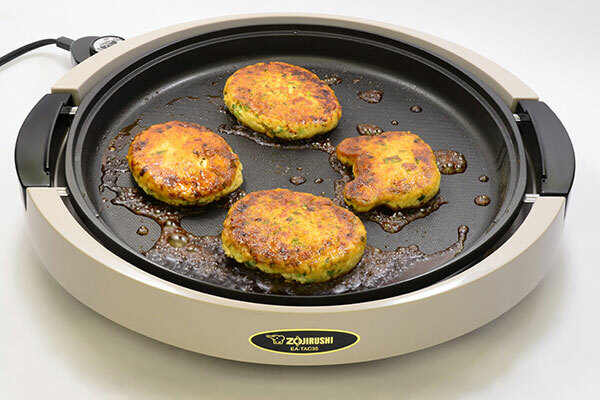 Turn on the Gourmet Sizzler® Electric Griddle and set to 400ºF. Wait until the pilot lamp turns off and add vegetable oil. Place prepared patties on griddle and brown both sides (approximately 4 minutes on each side). Please be careful of the heated pan. 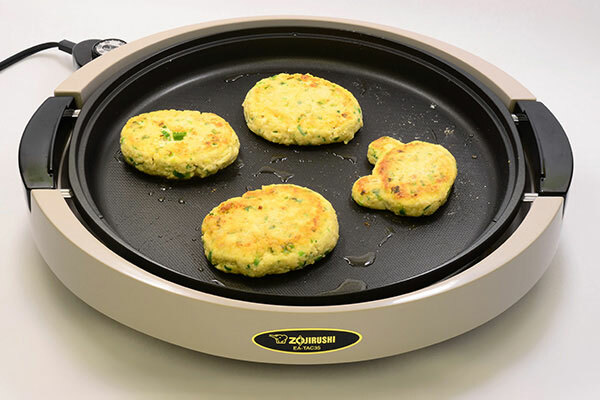 Turn the griddle to 280ºF. Pour sauce over patties then cover with the lid and cook for 3 minutes. 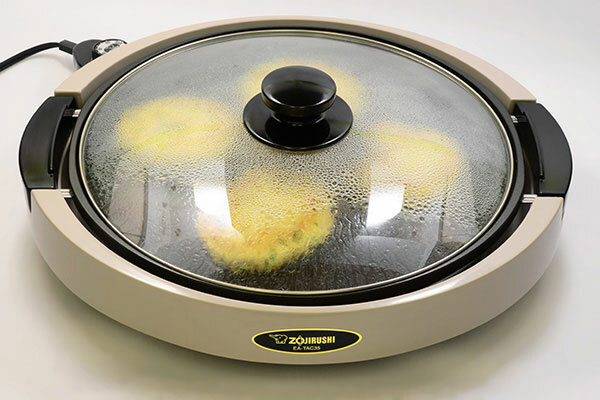 Open the lid, flip patties, cook for another 2 minutes and turn heat off. Plate patties, spoon the sauce over and enjoy!